The National Museum of Health and Medicine's working to release thousands of military medical photos going back to the Civil War—and their first Flickr set feels like grisly snapshots stolen from David Lynch's nightmares. 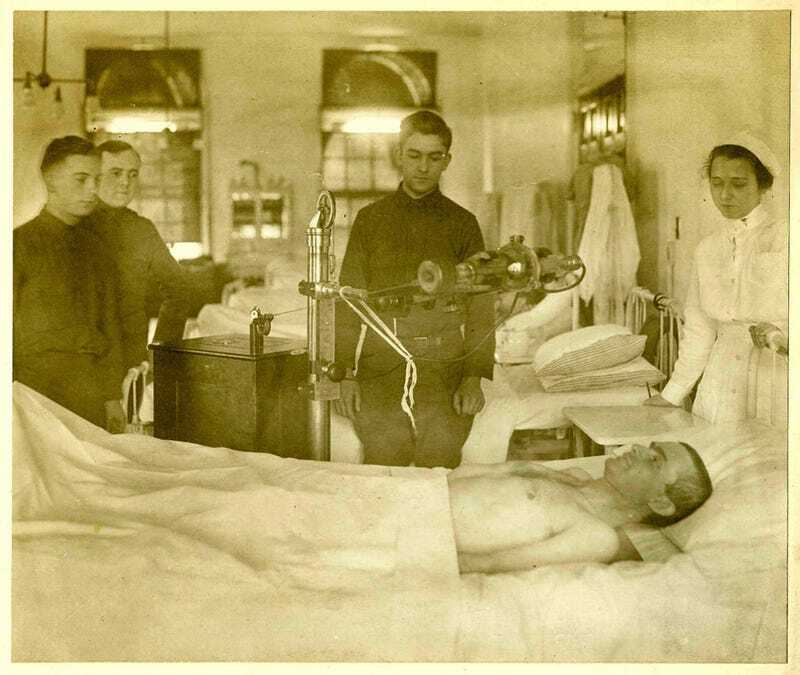 The photo above depicts a portable x-ray machine at Walter Reed hospital during World War I. Some of the crude, early prosthetic limbs (WARNING some photos are highly disturbing), combined with the photos' sepia tone, make these very real people remind you of those mangled toys in the original Toy Story. Just compare them to the i-Limb bionic arm.